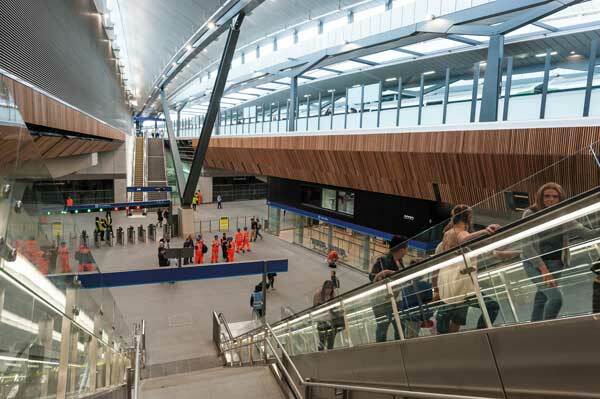 London Bridge Station has undergone a stunning transformation that has delivered a better connection between London’s Home Counties and an increase in passenger capacity by two-thirds. As the SSDA awards celebrate their 50th year of recognising the best of what the UK steel construction industry can achieve, we celebrate that 77% of the projects feature STRUMIS customers. In this post we will be celebrating Cleveland Bridge UK Ltd and Severfield’s involvement in the London Bridge Station project. The wholesale transformation of London Bridge Station includes an enlarged street level concourse underneath the tracks, integrated new entrances and new platforms for more trains, with three of its nine previously terminating platforms converted to accept through trains. All of the station’s 15 platforms have been rebuilt and are now covered by an undulating canopy of steel and aluminium, fabricated and installed by Severfield. The eye-catching canopy roof is modularised using open sections where each module is approximately 9m deep by 3m wide. There are 1,200 prefabricated steel cassettes, with each one a bespoke unit due to the changing rooftop geometry. Cleveland Bridge UK Ltd fabricated, supplied and erected the steelwork for the rail bridge decks that span the new concourse. The concourse bridge decks are made up of three to four spans of simply supported decks for each rail line. Each bridge deck comprises six main girders braced together and tied at the ends with trimmer beams, which were delivered and erected as pairs. For the installation of the decks and canopy, the project was split into six phases between October 2013 and May 2017. Close co-ordination between Cleveland Bridge and the main contractor Costain was essential to ensure the steelwork could be delivered efficiently to site and erected using either cranes or Self-Propelled Modular Transport (SPMT) systems. Each stage of installation was carefully planned to ensure follow-on trades were not hampered.